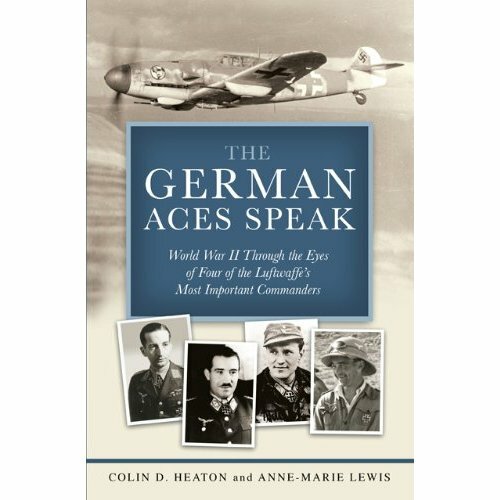 These four prominent and influential Luftwaffe fighter pilots reminisce candidly about their service in World War II in The German Aces Speak. Although all were decorated by the Third Reich for their exemplary performance, this is not to say they followed the Nazi Party without question—indeed, none of them were card-carrying National Socialists. Between their duty to serve their country in war and the erratic and immoral leadership of Adolf Hitler and Hermann Göring, these men elected to follow their own code of honor in combat. Although true to their oaths as German warriors, in the end they felt they and their countrymen had been betrayed by Hitler and the Nazis. Colin Heaton personally interviewed these air combat leaders, aces all, gathering their unique perspective on World War II and the Nazi leadership. From thrilling air battles to battles on the ground with their own commanders, these stories bring the past to life in the aces’ own words.